Planet Coaster is getting an update next week that’ll bring bring a bit of rustic charm to your parks. Frontier Developments has partnered up with the real-life Carowinds amusement park in Charlotte, North Carolina to bring the Copperhead Strike coaster to all players for free. That update goes live on April 16, alongside a new bit of premium DLC. The Classic Rides Collection will launch at the same time, which will feature nine new rides. Frontier has detailed a few of those rides on Twitter over the past few days, including the Sky Temple, the Interdimensional coaster, and the Free Flyer. There’s no pricing info just yet, but it’s similar in scope to the Magnificent Rides Collection, which launched at $10.99 / £7.99 / €10.99. You can see the free Copperhead Strike ride in the trailer below. Both updates, again, go live on April 16. 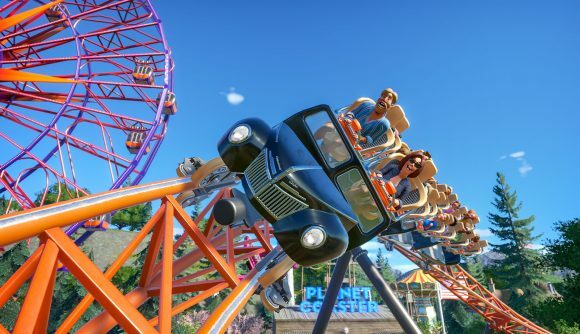 With all that being said, we know Frontier’s seen our Planet Coaster spin-off feature, where we make excellent and reasonable demands for future entries in the series. Where’s Chief Beef’s Battle Royale With Cheese? It’s pure gold, just waiting to be mined.